You’re ready to go out into the world. Before you do, make sure you know your typography, so you can present yourself with the best of your abilities. Introducing The Design Career Bundle. The all-in-one resource to cover your typography bases with education, continued support and one-on-one mentoring. There are over 280,000 graphic designers in the U.S. alone, how do you compete in the global job market? Get a career boost with a newfound knowledge of typography fundamentals, apply them to your work, and then schedule a mentoring hour with Coach Michael to make sure the execution is on point. The Design Career Bundle is a typography education kit, that encompasses beginning and intermediate content, a one-on-one portfolio review as well as monthly support. Gain access to a network of typographically-minded designers, like you, who help each other with work, resources and more. You will get support from the network in our private Facebook group and through monthly Q&A calls. All items would cost over $750 separately for the education, support and mentoring. 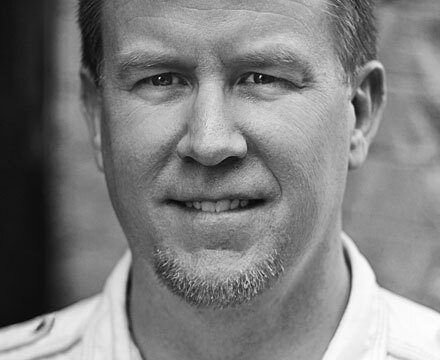 Michael is a cofounder at TypeEd, and Creative Director at Ramp Creative. With over 20 years in the field of design, his identity and annual report work has been recognized by Communication Arts, Mohawk Paper, TDC, Graphis, etc. Conversely, he’s served on the juries for the Ad Club, Graphis, the One Show Design and the Young Ones design competitions. He was aerospace engineer major before getting into graphic design over 20 years ago, so he inherently sees systems and numbers. Michael got his start in the early 90s just as the industry was transitioning out of phototypesetting and into the computer. He’s been refining a mindset that has simplified the process and helped him typeset everything from logos to books. Use the basics of characters and words to increase the efficiency and efficacy of your design work. Our typographic support network for graphic designers. Learn the necessities to design an exceptional reading experience. The class starts as soon as you enroll and never ends. It is a self-paced online course; you decide when to start and finish, and can always refer back to the class content at a later date. What if I am unhappy with the courses? How do I schedule my 1-hour portfolio review? You will receive a personal email within 48 hours with a link to schedule. Access to the classes, alumni support group and 1-on-1 portfolio review. Must seek a design career in a visual or communications-related field.